There have been lots of written comments and discussions about mergers and acquisitions of microbreweries by the industry giants lately. It is still too early to assess whether, in the long term, this recent phenomenon will favour or go against the interests of each one of us. There is one thing we can declare, though: the trend has not reversed. At all. "Two years ago, Nómada regarded their not having own premises as a hallmark of freedom"
Some locals consider the industry matters that happen in other countries and beer scenes as a distant debate: be it for magnitude, technical development or geography. However, the fact is that the interconnections with other areas and cultures are many today. For instance, we have already seen our first local Fruit IPAs, one of the current beer trends in the United States. And there are more to come. Another example? A freshly-baked one for you. 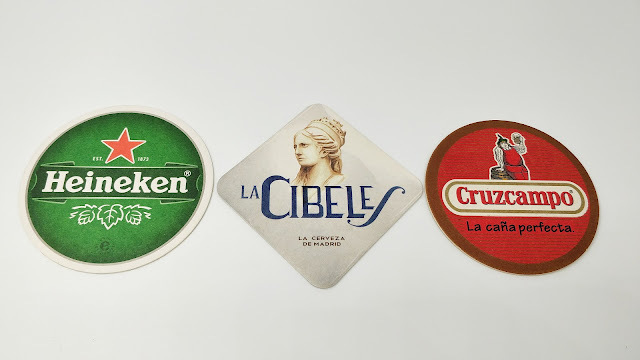 Just yesterday, an open secret was officially confirmed: Nómada Brewing Co joins Mahou-San Miguel to enhance the innovation line initiated by the big Spanish brewing holding, which acquires a 40% stake of the company. A story that, although recent, has aroused a certain variety of reactions, ranging from purism to pragmatism, as well as the occasional reflective 'we’ll see'. Sami Claret and Javier Aldea have been around the microbrewing scene for some years. Without a clear geographical distinction, given their cuckoo brewery nature, they have mostly been active in their hometowns, around Vitoria and Sabadell -respectively, Basque Country and Catalonia-. Nómada beers have irregularly been seen in bars, shops and festivals, partly because of their efforts on foreign markets. Still, they have always had a fairly good reputation among local drinkers. Something that has earned them some recognitions. Given the cascade of responses and comments, I proceed to reflect on this movement that has turned them into the first Iberian company that emerged from the microbrewing scene to be -partially- acquired by one of the feared 'industrial' breweries. In a text posted on social networks in June 2014, Sami and Javier considered the fact of not having their own premises as a hallmark of freedom, in line with their philosophy to move anywhere to create new beers. With the recent partnership with M-SM one understands that they have given up the liberty which defined their nomadic character, and thus that they have found sufficient motivation to change their status quo: from being a migrant community to settlement in sedentary brewing. Like any other project, Nómada evolves, and their current reality is very different from the previous one. My point of view? This one is a better reality for them: after the explosion of gypsy brewers, around 4 years ago, margins have narrowed for various stakeholders in the industry. And yes, it has been a steeper decline for those brewers without their own plant. 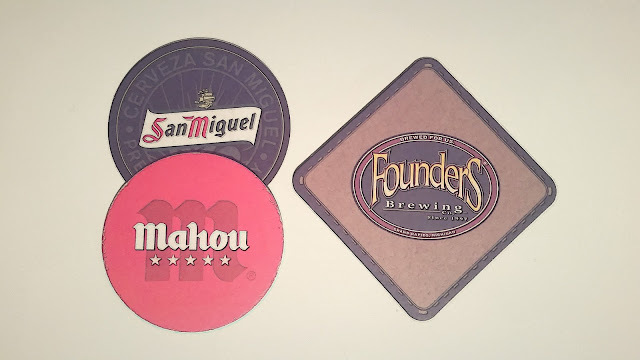 Having a strong group like Mahou-San Miguel not only provides Nómada with facilities, but can help them enhance and bring to a new level what they stated, barely two years ago, as the thing they are most passionate about: brewing. We must therefore hope that, from this new stage, they fulfill their purpose of 'freely transmitting and showing their way of making and understanding beer'. From here I want to wish you, Sami and Javier, luck in this new professional and personal undertaking, hoping that the strength in your convictions, those that one day you decided to embrace and champion, remain intact along this new path. There are precedents to think that it is not going to be easy an easy task: P&L statements are just about figures. But there have also been good experiences so far, and as Bryan May, vice president of strategy at Founders, commented during the round table of the Barcelona Beer Festival 2016: 'we have found in Mahou-San Miguel the perfect companion for our landing in Europe'. I wish M-SM group keeps their open and constructive attitude, when compared with some of their direct competitors, in terms of the evolution of the brewing industry. 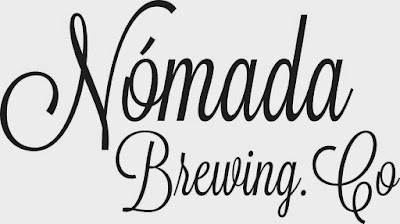 In addition, I hope that the nomads make themselves comfortable in their new home on this sedentary stage, and that the expansion and enrichment of beer as a concept can keep progressing in southern Europe. Onward,s & Upward,s I Hope.